The primary focus of this release was to introduce mass update status capabilities as well as additional improvements to the Tracking functionality in BeProduct. Additional enhancements include the ability to have different printout logos by folder as well as the ability to auto share tech packs to name a few. Mass Update Statuses in Tracking: With this release, users are able to mass update statuses on the tracking timeline by simply dragging to select multiple items and then selecting the status to be applied from a popup. Update Page Status from within an Open Page in Tracking: With this release, users can update the status of a page that they are currently working on while having the page open on a sliding panel within Tracking. Load Page from Tracking Sliding Panel into a new Browser Tab: Users can now choose to load a page opened from within Tracking, in a new browser tab. Not Applicable (NA) Status in Tracking: Users can now assign a status of NA to actions in the Tracking Timeline. This will result in displaying NA on the grid instead of a date wherever this status is assigned. Printout Logos by Folder: With this release, an admin of the system could assign a different logo image to appear on the printouts of each folder that is created within all the master folders of the system. Auto Share Tech Pack: With this release, users are now able to make a tech pack available to all external contacts with whom the Tech Pack page is shared without having to use the email notifications. Ability to Clear Material Pricing in Costing Scenarios: Users of the costing functionality within the Bill of Material apps now have the option to clear all entered material pricing information specific to each costing scenario. Additional validations have been implemented when importing excel measurement templates into the Measurement App to ensure that the excel file is formatted correctly for the system to be able to read the data correctly. When generating Tech Packs, the system will now replace any forbidden characters in the tech pack name with an underscore on the generated filename to avoid any conflict when attempting to download and save the file. Line Sheet printout filenames are now based on the name that the user assigned to the Line Sheet printout in the system and not the name of the print option that the user selected when creating the printout. 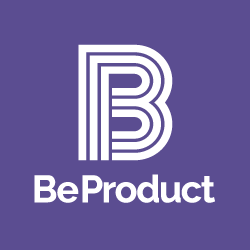 When on the Login page of BeProduct, users can now use both their defined username as well as their email address to log into the system. Fixed bug with the assignment of back images on the Attributes page in styles. Fixed bug in Bill of Material app where certain materials were not showing up when searching through the material library. Fixed bug in Sample Request app printouts where custom submit columns were not printing. Fixed bug with vertical scrolling on Add Image library panel. Fixed bug in Line Sheet print feature resulting in missing front images on the printout. Fixed bug with arrow key navigation while editing data on the grids in the Sample Request apps. Fixed bug that prevented users from free typing in values into fields that are of the Color Dropdown data control type. Fixed bug with PDF compression on printouts created from Tracking.